Charlie Fellowes will be trying to become the first British trainer to win the Melbourne Cup. For a young English trainer with an ambition to have his horses compete on the world stage, A Prince Of Arran has been a godsend. 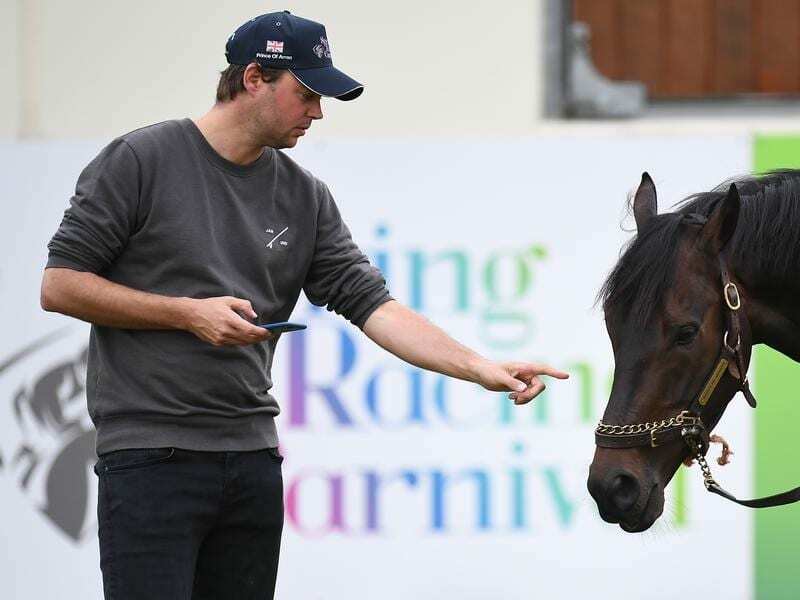 Charlie Fellowes will saddle up the international visitor A Prince Of Arran in Tuesday’s $7.3 million Melbourne Cup, with the gelding earning his way into Australia’s most famous race by winning the Group Three Lexus Stakes at Flemington on Saturday. A Prince Of Arran has raced on four continents this year and his win on Saturday was his trainer’s first at Group level. “I can’t even begin to explain how amazing he has been,” 32-year-old Fellowes says. “For a young trainer who didn’t come from a racing background – I’m still very much an unknown, especially outside of England – he has been huge. “It’s not just that he has run on four continents this year but he has run incredibly well, winning in Dubai, placing in America and coming down here and winning. “That kind of publicity has been huge for us. He’s a dream horse to travel because he’s thrived on it and he’s been unbelievably straightforward. And long may that continue. A Prince Of Arran has to race on a three-day back-up in the Melbourne Cup which he has not done before. While Fellowes admits that is a minor concern, he has been thrilled with the way the stayer has come through his impressive Lexus win and believes the gelding won with something in hand. Fellowes, who spent almost a year working in Australia a decade ago, says he likes the idea of travelling horses, and the exploits of A Prince Of Arran are seemingly fuelling those ambitions. “British racing is fantastic and I think as far as prestige goes you can’t beat British racing, and it’s the most competitive,” he said. “But I love the idea of racing globally and you see the attention you get here. “Trainers are quite egotistical. You want to be watched. You want your horses to be in the attention. If people aren’t asking about your horses, it’s because they’re slow. “So you want to be running where people are interested in what you’re doing, and that’s because you’ve got nice horses on your hands. “So I want to be running at the biggest race meetings, not just in England, around the world. And I hope that throughout my career that’s going to be something that we’re good at. And Fellowes has dared to dream what it would mean to win with A Prince Of Arran on Tuesday. “To be the first British trainer to win a Melbourne Cup, age 32, it would be a big deal,” he said.